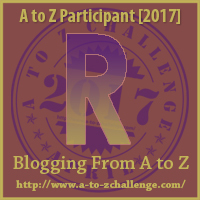 This entry was posted in A - Z 2017, General and tagged A - Z 2017, Making Time, Robyn LaRue. Bookmark the permalink. Totally agree. I feel that writing is all consuming, if we not thinking about writing, we feel guilty when not writing. Our lives have become a rat race that does nothing for creativity. Social Media has stolen the little time we have by making us feel inadequate compared to everyone else. Many a time I welcome the mundane things for it gives me a chance to think about the stories I want to create and gives me the answer I was stuck with facing the computer. Great post by the way! Thank you and I am glad you brought up social media and feeling inadequate . . . very much a part of it all.